Celebrating over 87 years of business! In 1932, a small house was converted into a place for ice fishermen to load up on their gear, as well as lube up their gears on Lake Wawasee . 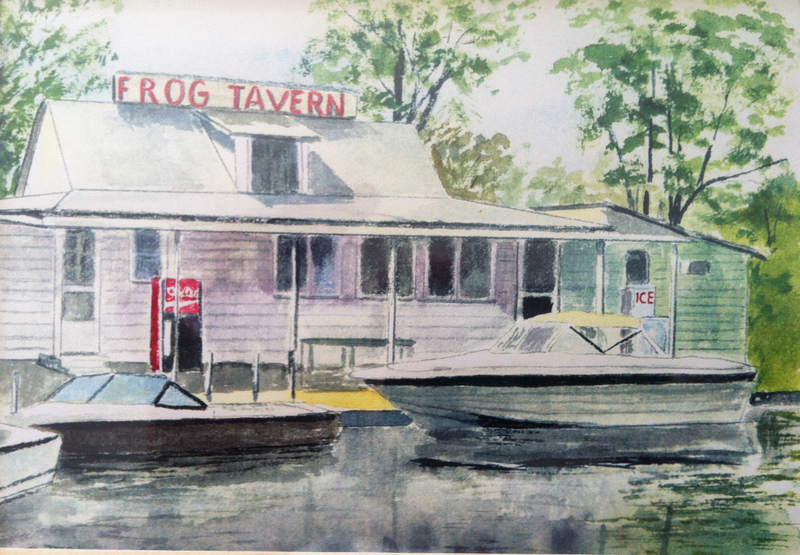 Over time, The Frog became one of Syracuse's best restaurants on the lake. Several additions have been made to The Frog, and with the last addition in the mid-90s put The Frog on the map as one of the best night life venues in Northern Indiana and remains that way today. The Frog Tavern is known as an "Institution...of sorts". A unique blend of excellent food at an affordable price for the entire family, The Frog Tavern rests upon the shores of Lake Wawasee, in Syracuse, Indiana. Diners can arrive by car, foot or boat and enjoy lunch, dinner or late night entertainment. The Frog brings in some of the best live-band entertainment in Northern Indiana and is one of summer's best hot spots. The Frog serves as the resting dock for their 70-foot dinner houseboat, the S.S. Lillypad. Open 11 a.m. - 2 a.m. The Frog Tavern and SS Lillypad plays an active role in your community, through generous donations to The North Webster Community Center, Lakeland Youth Center, Wawasee High School, several of the area service organizations and the Syracuse Wawasee Minstries Association to name just a few. The Animal Welfare League, New Hope Rescue, Boys and Girls Clubs of Elkhart, Northwood High School Athletics, Warsaw Rotary, People for Water are more of the organizations we partner with to strengthen the community, and even the globe.